With the flood of applications and longer battery life of iPhones, they're more useful than ever. Whether you're navigating, communicating or identifying plants, birds and geology your iPhone can be indispensible in the backcountry. And this case features waterproof external jacks for unlimited function! With the flood of applications and longer battery life of iPhones, they&apos;re more useful than ever. Whether you&apos;re navigating, communicating or identifying plants, birds and geology your iPhone can be indispensible in the backcountry. 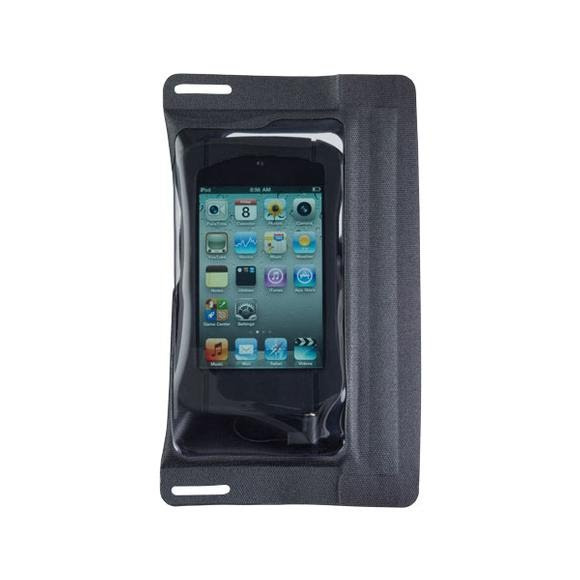 And this case features waterproof external jacks for unlimited function! Maintain functionality and protect it with Seal Line&apos;s I Series iPhone case and put your mind at rest. Headphone-Compatible: External, four-pole headphone jacks are water-tight and maintain full function of in-line remotes for full device function. Reliable Protection: Meets IPX-7 standard of submersion at 1 meter for 30 minutes, ensuring total protection from the elements. Full Function: Ultra-clear and supple urethane windows are model-specific, allowing use of all touchscreen, camera and voice functions.